When the Nintendo 3DS originally launched in 2011, the key feature was its 3-D-glasses-free stereoscopic 3-D screen. Many players enjoyed the visuals; however, some found them headache-inducing. The latest iteration from Nintendo will be a welcome release for the latter. This isn’t the first time Nintendo has dropped 3-D from a new member of the handheld family. In 2013 there was the non-clamshell Nintendo 2DS for players who wanted the games but not the 3-D visuals. But now we have the New Nintendo 2DS LL, which has the improved processing power, C-stick pointer button and two additional shoulder buttons of the New Nintendo 3DS LL. At around 260 grams, it’s lighter than the earlier New Nintendo 3DS LL and when closed, it’s also thinner. It comes with a smaller touch pen and, of course, all the 3DS games are compatible. Perhaps the most welcomed revision, though, is how Nintendo has redesigned the game-card and Micro SD-card slots. In the New Nintendo 3DS, the game-card slot is exposed, so if players accidentally bump it, the card could eject in mid-play. The Micro SD-card slot, on the other hand, is only accessible if the handheld’s back panel is unscrewed. For the New Nintendo 2DS LL, the Micro SD-card slot is next to the game-card slot and both slots are protected by an easy-to-open cover flap. No more accidental game ejects and no more screwdrivers! With overdue changes like that, you won’t even miss the 3DS. 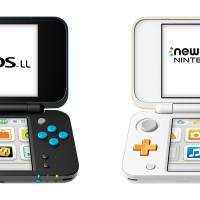 The New Nintendo 2DS LL will be released on July 13 for ¥16,178. Level-5, the Fukuoka-based game maker behind “Yokai Watch” and “Inazuma Eleven,” is releasing a brand new multi-media franchise called “The Snack World.” The company is making a TV anime, a movie, toys and, of course, games. While the smartphone game won’t be out until later, Level-5 is releasing a title for the Nintendo 3DS this summer. “The Snack World: Trejarers” takes its cues from traditional role-playing game tropes: There are magic crystals, a fantasy setting and monsters to battle. However, “The Snack World” also cleverly mixes in real-world motifs, such as convenience stores, vending machines, fast food and smartphones. 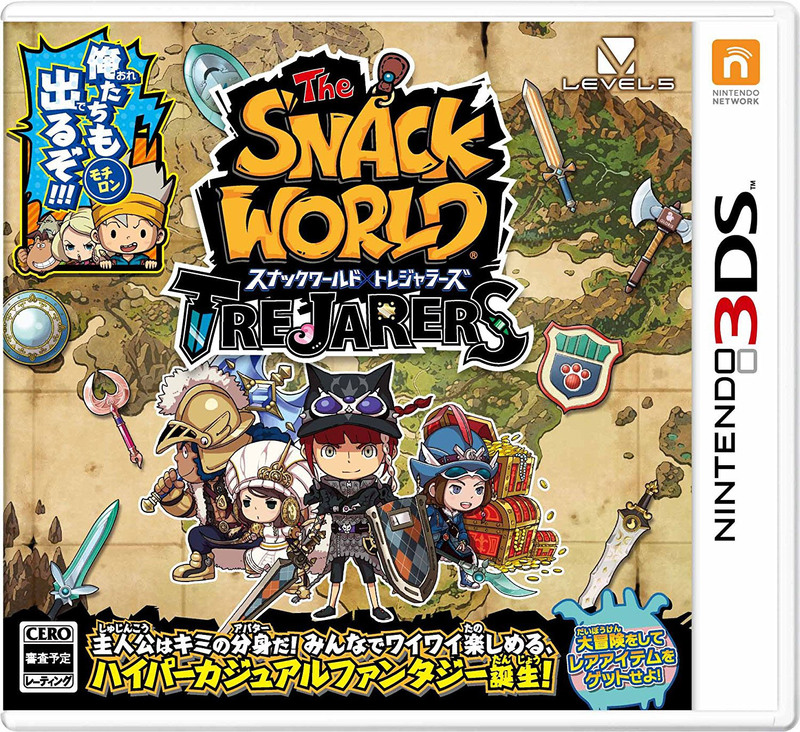 For the 3DS “Snack World,” the entertainment company Takara Tomy is also releasing little toy charms, called “jara,” modeled on the swords and other tools used in the game. The charms (there are 12 in total) can be scanned via the touch screen, which will allow players to use the item in-game. Not only this, but 10 “snack” cards will also be available, which when scanned will introduced a new character in-game. Level-5’s hit-making track record has been excellent, so “Snack World” and its bounty of collectibles is certainly one to keep an eye on. 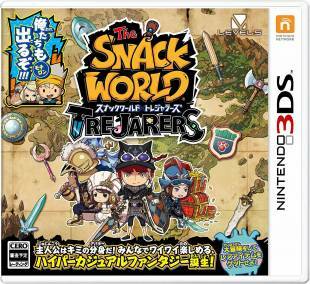 “The Snack World: Trejarers” will be released on July 13 for ¥5,184 and comes with one jara. “Pikmin” fans, there’s good news. This quirky series is finally getting a brand new title. “Hey! Pikmin” is the first “Pikmin” game since 2013’s “Pikmin 3” for Wii U and it has a slightly different spin on the original. You’re still the teeny tiny alien Captain Olimar, and you’re still sending Pikmin (plant-like creatures) to do your bidding as you explore a planet. However, unlike previous entries, which featured a top-down point of view, this latest release is a side-scrolling action game, which opens it to all sorts of new gameplay opportunities. It’s also for the New Nintendo 3DS, rather than Nintendo’s home hardware. Fans may wonder why Nintendo isn’t releasing a Switch version, which could be preferable, but don’t let that stop you from enjoying this cute title. “Hey! 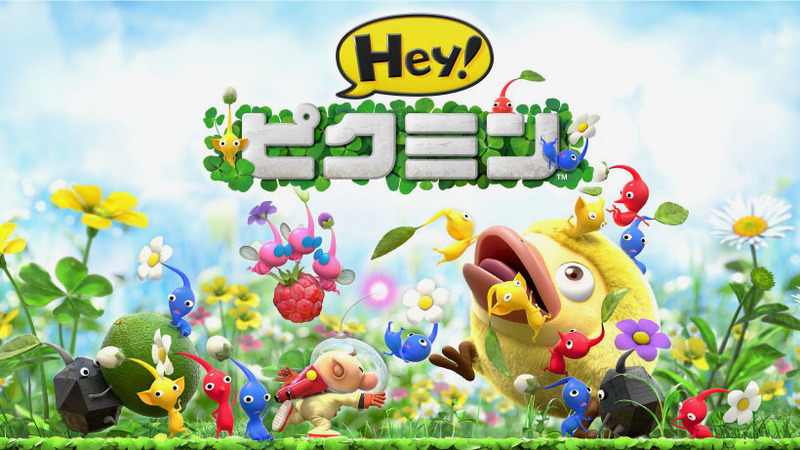 Pikmin” will be released on July 13 for ¥5,378.